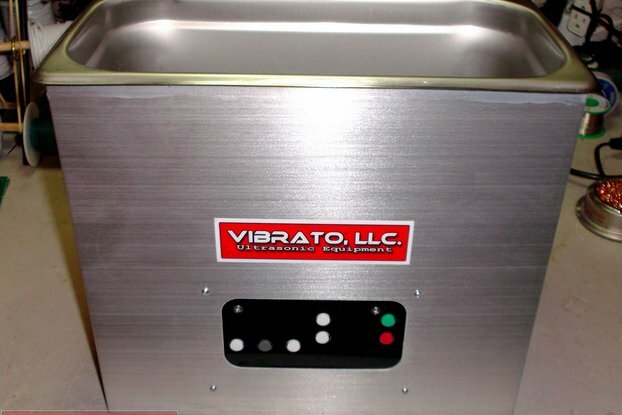 60Khz Ultrasonic Cleaner in the 10 Quart size with our Proprietary "Tremolo" Frequency Sweep circuit ! Featuring eight 35 Watt 60khz Transducers (280 Watts), Digital Thermostat/Countdown Timer, 120 Watt Heater and Manual Drain. This 60khz Frequency Ultrasonic Cleaner is great for cleaning items that need a little more power than our 80khz Ultrasonic Cleaner, but without the destructiveness of lower 40khz frequency ultrasonic cleaners. The 60khz Transducers produce smaller cavitation bubbles than a standard 40khz machine, but it produces MORE cavitation bubbles! Great for cleaning Vinyl Records with heavier contamination, such as water damage or mold. Also great for Jewelry, 3D Printed Parts, ceramics, stencils, circuit boards, dental instruments, tattoo equipment, etc. Ultrasonic Cleaners with higher frequency, such as our 60khz and 80khz models, are becoming increasingly harder to find, and our prices are much more reasonable than other manufacturers of similar equipment. Our Ultrasonic Generators are proprietary, designed and made here in the United States. 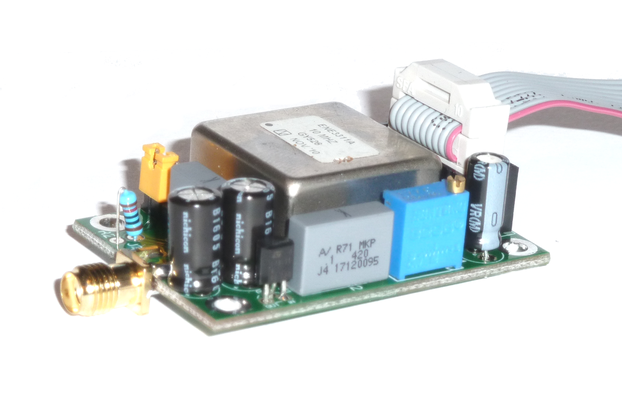 They are able to be tuned to the resonant frequency of the Transducers, which means they will provide maximum power and reduce failure due to overheating. Our "Tremolo" MultiZone Frequency Sweep circuit is microprocessor controlled, utilizing Pulse-width Modulation to vary the frequency at different rates on the Left, Center and Right sides of the tank, providing superior Sweep functionality by shifting "Standing Waves" up and down at different rates in multiple areas at the same time. Standing waves are concentrated areas of cavitation, which can damage delicate items, and it helps spread the cavitation evenly throughout the tank.